← WMSC First Year Anniversary! Mark Nomad will be presenting a Slide Guitar Clinic, 1pm, Sunday, October 14 at The Northeast Guitar Expo, Oakdale Theater, Wallingford, CT. 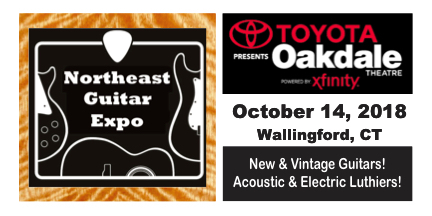 The Northeast Guitar E xpo is the region’s largest guitar and gear event with many luthiers, dealers and clinicians and runs from 11am to 5pm.